A very easy plant to grow, and yet often gardeners have problems with growing Aloe barbadensis or Aloe Vera as it is commonly known. We are often asked, can you grow them outside ? The answer is yes, however one of the big issues is the amount of sun, and despite what you may read, Aloe Vera does not like a lot of hot very sun. It is also a plant that does not cope well with cold wet winters, and may turn brown in these conditions. The good thing is that when spring comes around, it will usually spring back to life. We are also asked do they flower? Yes they do, however only on well established plants in the right growing conditions. So here are our top tips to grow this popular plant in your garden or in a container. If you can, grow Aloe Vera away from frosts, and the heat of the afternoon sun you will be on the road to success. Aloe vera is often grown in containers where it can moved to a position that receives good morning sun, and afternoon shade. It can then be brought into a protected warmer position during cooler months. Good drainage is essential, although they like water during summer, they do like to be in a free draining position. They should be allowed to almost dry out between watering. Low humidity is important, so allow good air circulation, not to many pests although mealy bugs can be a problem. The small offsets or ‘pups’ that appear at the base of older plants can be removed with a sharp blade, set aside to ‘heal’ (dry out for 2- 3 days) and then planted out. Propagation by seed is also possible, but slow. Fertilizer can applied in spring in the form of a property cactus fertiliser or a diluted liquid seaweed, one or two applications a year is usually plenty. Summary Growing Conditions for Aloe Vera. Grow in a well drained soil or potting mix. Grow in a frost free position. Grow away from the heat of the afternoon summer sun. Grow away from cold drafts and winds. Why is Aloe Vera so popular ? The confusion between what we commonly call Aloe vera and what is known as A. barbadensis Mill. (Miller) is actually a lot wider, many species are known as Aloe vera. Although differences do occur in appearance we believe that A.vera (syn. A. barbadensis Mill. or Miller) and a number of other species may be almost identical. 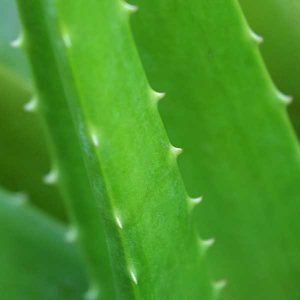 Aloe vera is widely used for medicinal purposes for a few reasons, firstly for the supposed medicinal value, and secondly due to the quick growing nature, an the amount of sap it produces. If we look carefully at the genus, just about any aloe can be used for burns. In northern Africa, different tribes use different species for different purposes, mostly scientifically undocumented. Native to areas around the Mediterranean including North Africa the main requirements for successfully growing these plants is sunlight and good drainage. Frost and cold temperatures can inhibit growth. And yes aloe vera plants will flower, a tall flower stem rising nearly 1m above the foliage with masses of yellow flowers. You can buy Aloe Vera Plants Online from the following participating nurseries.